We are really keen for our pupils (and parents!) 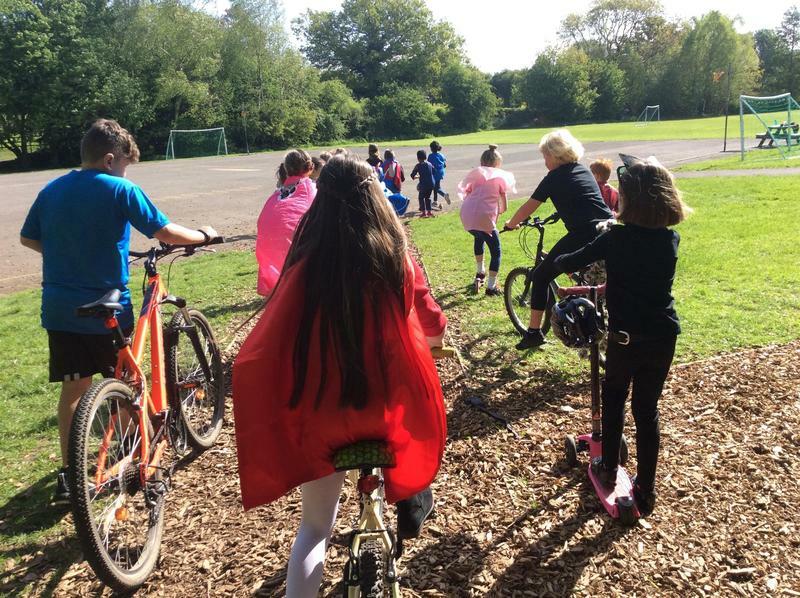 to walk, cycle, scooter or even share a lift with friends to school! We are located in a residential area close to the junction where five roads meet, so the local roads get very congested with cars. And it’s much healthier to not travel by car anyway! If possible, we ask you to park a few minutes away from school and walk the rest of the way. 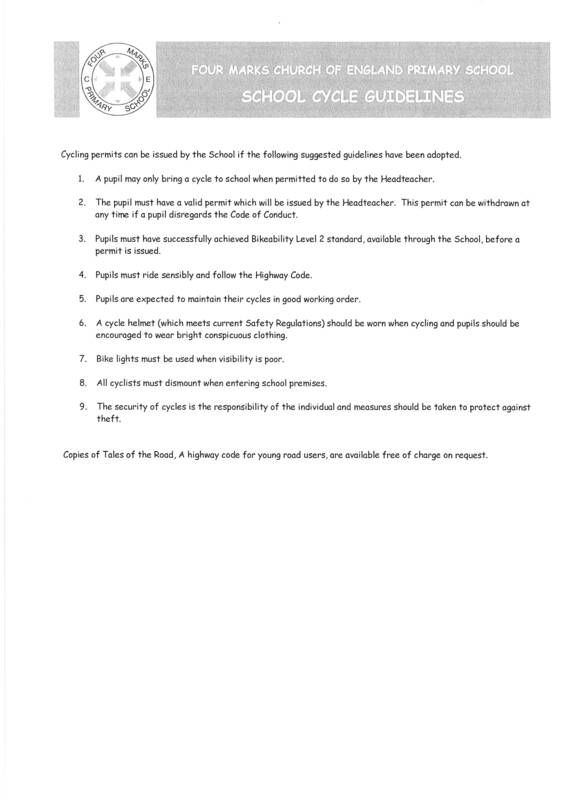 This makes the area around school less congested and as safe as possible for your children, and for others. There is also a one- way system that we ask you to use which helps keep the traffic flowing and reduces the need for unsafe turning and reversing. We understand that life is busy and that for some of our families who live at the edge of our village school is a long way and takes a long time! 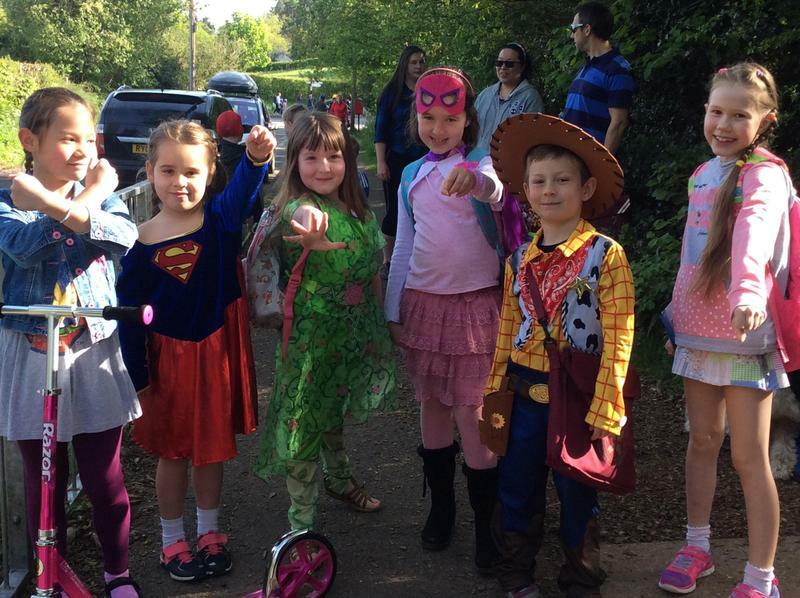 WOW is a scheme run by Living Streets, the charity behind the national Walk to School campaign, which encourages families to walk to school at least once a week.Daily journeys are logged by pupils on our interactive Travel Tracker. At the end of each month, children who walked at least once every week will receive a special collectable pin badge. There is a different badge to collect for each month of the school year. Here are examples from 17-18. If driving we recommend that you 'Park and Stride' or 'Scoot from the Boot' to earn your WOW badge - park safely away from the school e.g. at a friend’s house - and walk the rest of the way. This provides great exercise and also helps ease congestion around the school. This scheme encourages pupils (and parent's) to walk to school at least once a week. If everyone did this just once a week, traffic congestion would reduce by a fifth, meaning there would be approximately 60 less cars on the road a day! A healthy way to come to school as long as children are supervised and competent. 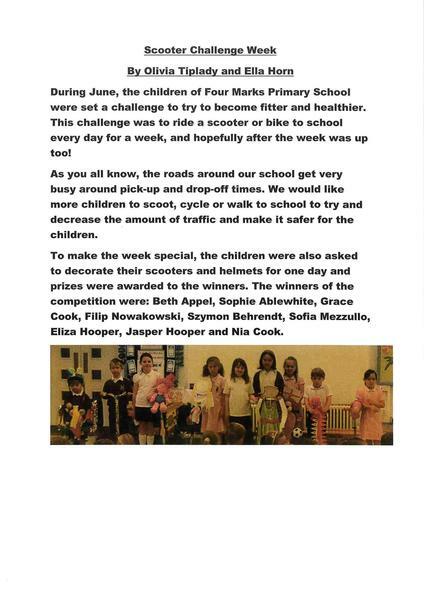 Please make sure that children wear helmets if they are scooting or cycling to school. We ask that they are supervised (with an adult) until they are old enough to do this independently. Children do not fully develop the ability to judge speed and distance until they are approximately 10 years old. 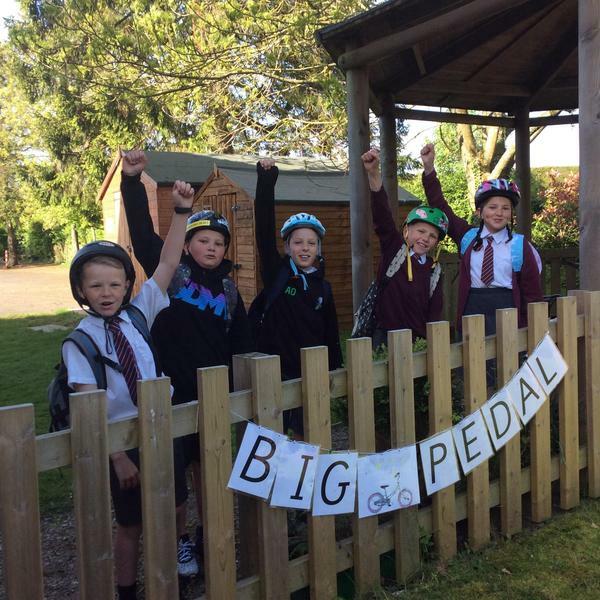 This is obviously a key skill in being able to walk or cycle to school safely on their own. 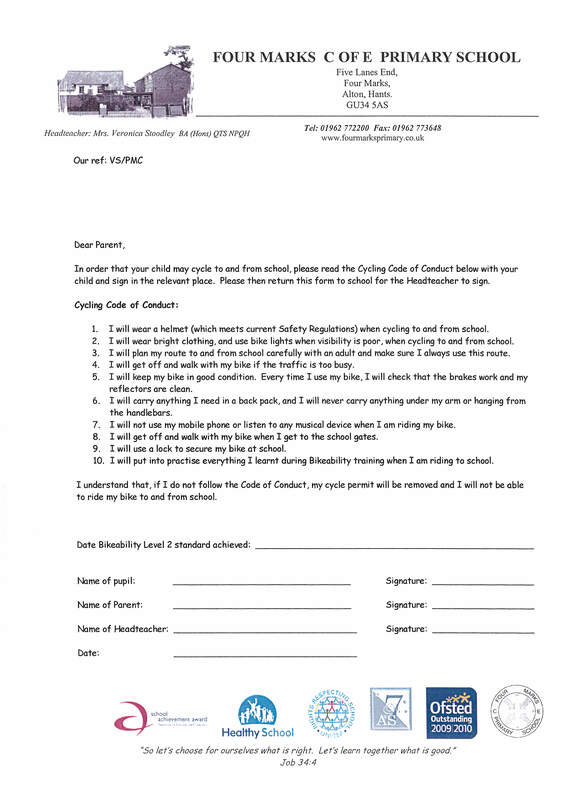 If you feel that your child is responsible enough and has the capability to walk or cycle to school on their own we ask that you fill in a permission slip. You are very welcome to discuss this with a member of school staff further if you wish. 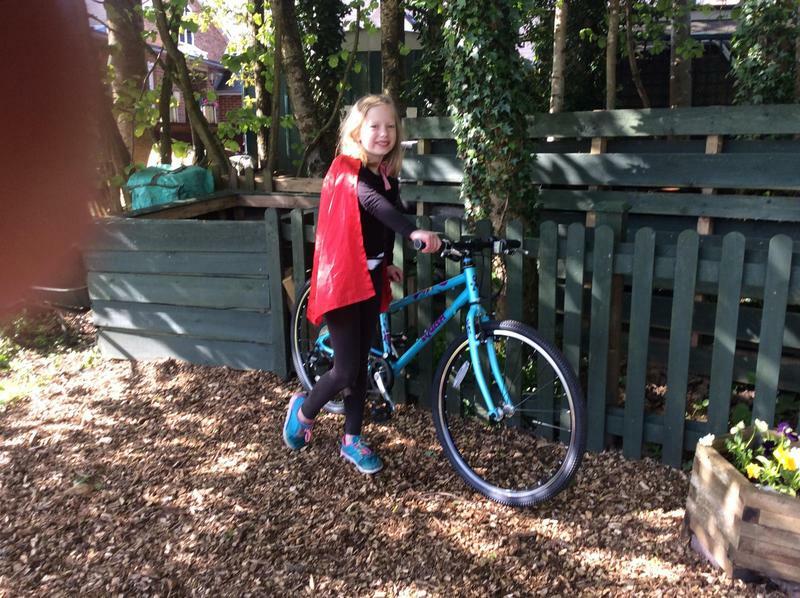 We run Scooter Training for children in Years 2 and 3, and Cycling Proficiency courses for children in Years 5. Please find below the link to our website which provides information for Hampshire parents who wish to apply for transport to your school. What wonderful weather we had for our Walk to School week! 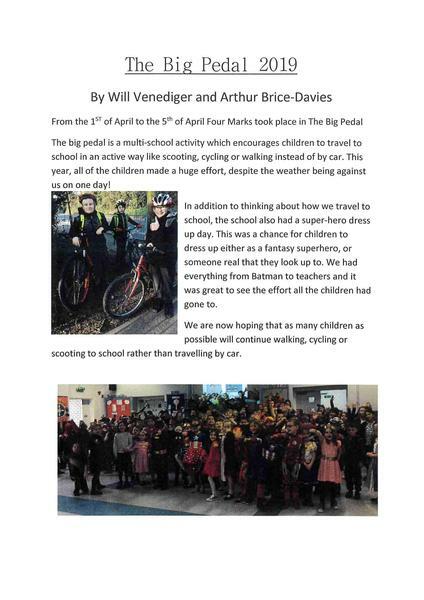 Our JRSOs came up with a special ‘theme’ each day to encourage everyone to get walking. 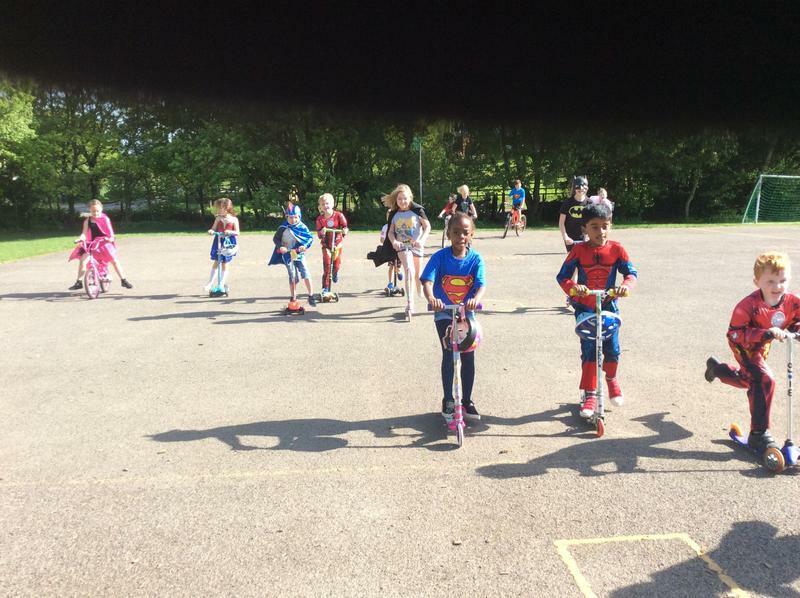 It has been lovely to see so many children walking in their Sports kits, with their favourite shoes on and ‘walking like a chicken’! We have also had lots of lovely visitors of the teddy bear variety in school. 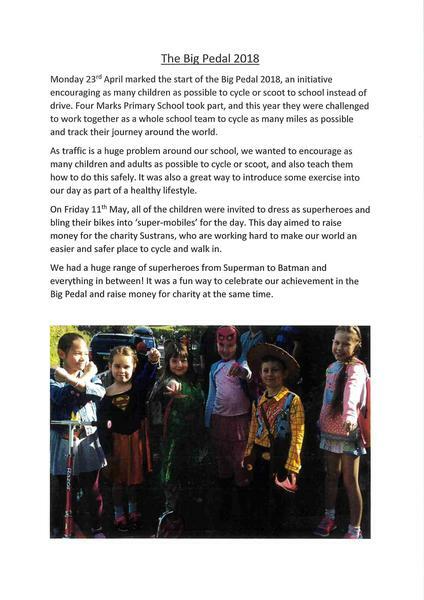 Well done to our JRSOs and Mrs Telford, for organising this event.